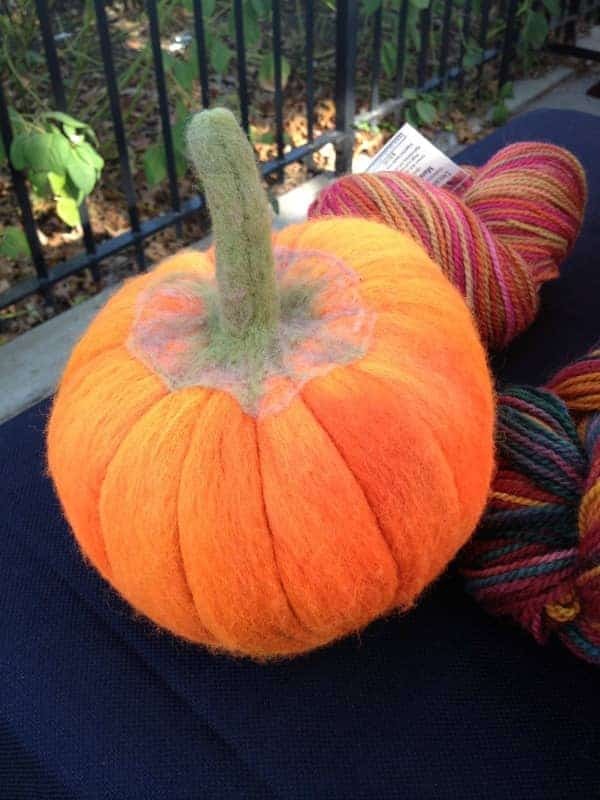 Felted pumpkins from Decadent Fibers at last year’s Kings County Fiber Festival. If it were possible to overdose on yarn (but really, we all know that it isn’t) this time of year is when it would happen. Just like non-knitting folks see Pumpkin Spice Everything, there is so much going on in the fiber world. Take this weekend, for example. Not only is it the NYC Yarn Crawl, but there’s also another fun event that you should really check out if you happen to be in the New York area. On Saturday, the Kings County Fiber Festival will be held at The Old Stone House in Park Slope, Brooklyn. The festival brings together a number of local and regional dyers and spinners — including Indie Untangled’s very own Queen Bee Fibers — who line the picturesque streets on a (hopefully) sunny and crisp fall day. 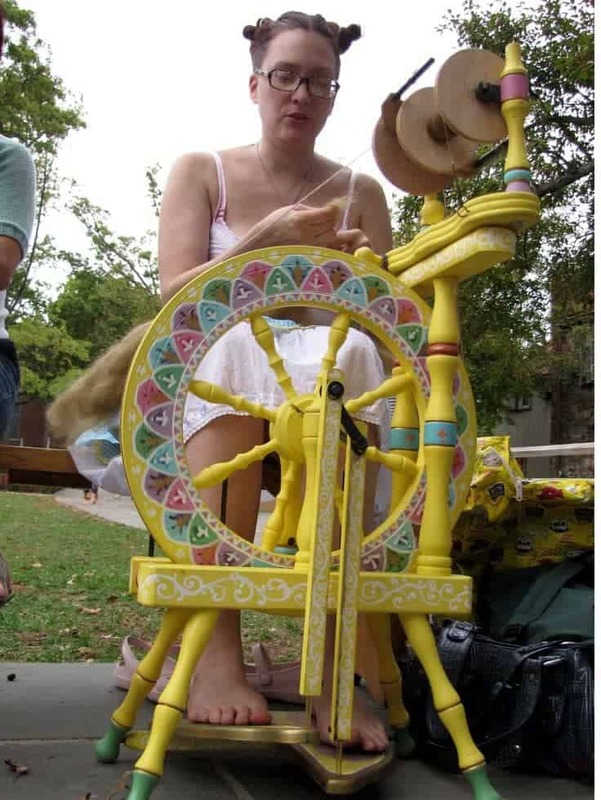 Local group Spin City will also be practicing for the fleece-to-shawl competition that takes place at the NY Sheep and Wool Festival. So even if you are going to Rhinebeck, think of this as a low-key warm-up. 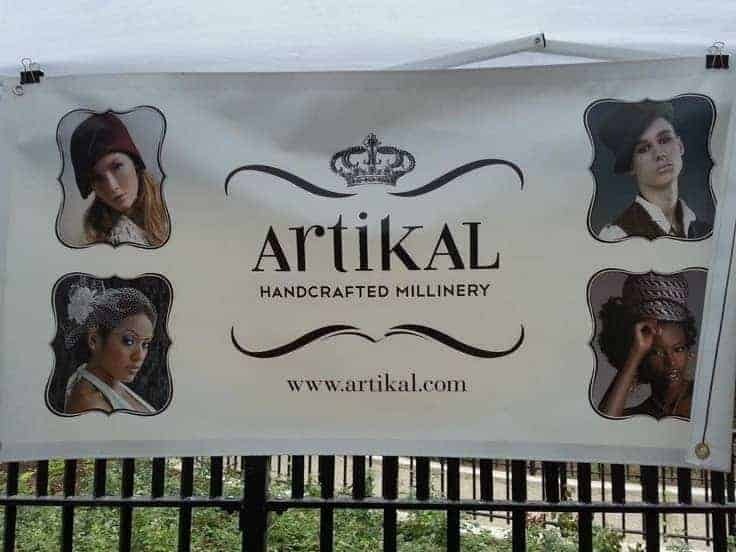 There are also a number of vendors selling all sorts of handmade items, from jewelry to candles (Artikal has some beautiful hats), so it’s a perfect thing to bring your non-fiber-obsessed friends to. Hand-dyed fibery goodness from Queen Bee Fibers. Tell me about how you came up with the idea for the festival. Well, the idea was brewing for a year and a half before it got off the ground. 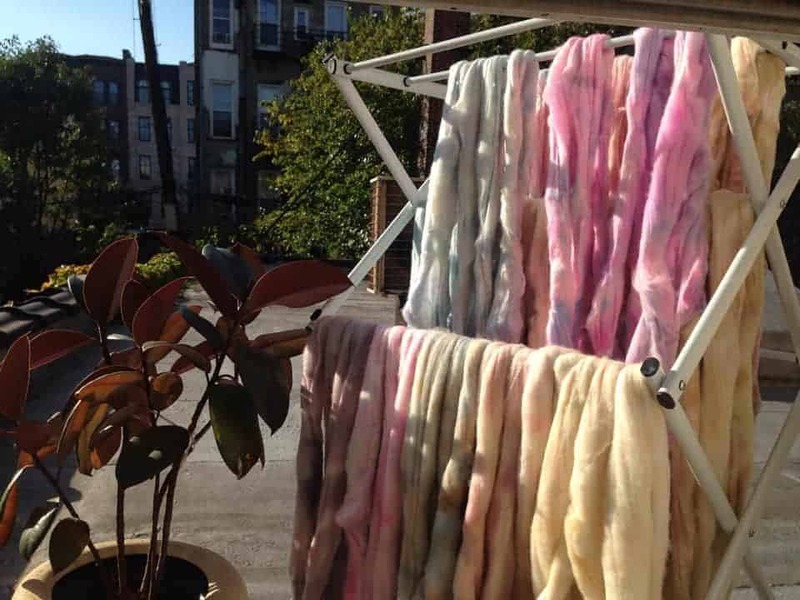 The opportunity to curate a larger fiber marketplace beyond the walls of Stitch Therapy had great appeal, and who doesn’t love a fun festival at the beginning of the fiber season in Brooklyn, NY? In the 10 years of Stitch Therapy, my customers came from far and wide and the one thing that they all had in common was their passion for the fiber. The other was the desire to learn and share something new. The city is filled with creativity and the Kings county Fiber Festival is a subway, bus or short walk away. What would you say makes it different from other fiber festivals? Three years is young for a festival. The size is intimate and open to a more inclusive growth to celebrate the handmade. The location at the Old Stone House takes up a full city block and in October the leaves are changing colors and the newly refurbished park is a beautiful place within Brooklyn. New York City is filled with locals and the Kings County Fiber Festival turns Brooklyn into a small town for eight hours. Since it’s held outside in the middle of Brooklyn, have you met anyone who’s been inspired to start knitting, spinning or felting by coming to the festival? Well, starting with the free finger knitting for kids and the spinning demos, there are always beginners on the day of the festival, but I would have to say the most exciting is when a kid holds up their strand of finger knitting and introduces me to the friend that she brought with her for a “play date” at the Kings County Fiber Festival. A custom wheel at the festival. Photo via Stitch Therapy. Could you say if you have any plans for Stitch Therapy, or anything else in the works? I’m in the middle of a Stitch Therapy design, a structural lace shawl sized for the opera in a jet black. You can also check out the Stitch Therapy Pinterest boards and follow Maxcine on Facebook and Twitter. 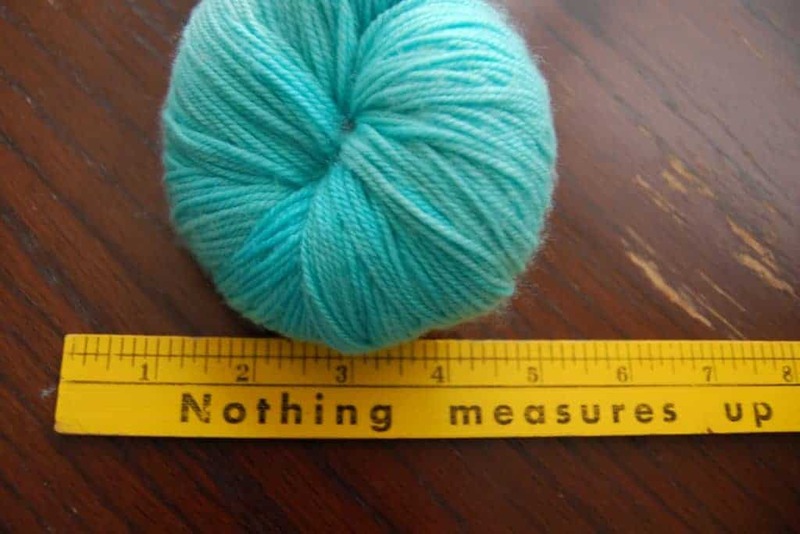 This entry was posted in Q&A and tagged fiber, fiber festivals, NYC, yarn.